The MacBook Wall Desk can actually be used as a wall mounted standing desk OR a normal laptop stand you can move around the house. It’s very clever because it is designed multifunctional so even though you can fix it on the wall you can easily remove it, move it around and put it back on the wall when you want a standing desk. 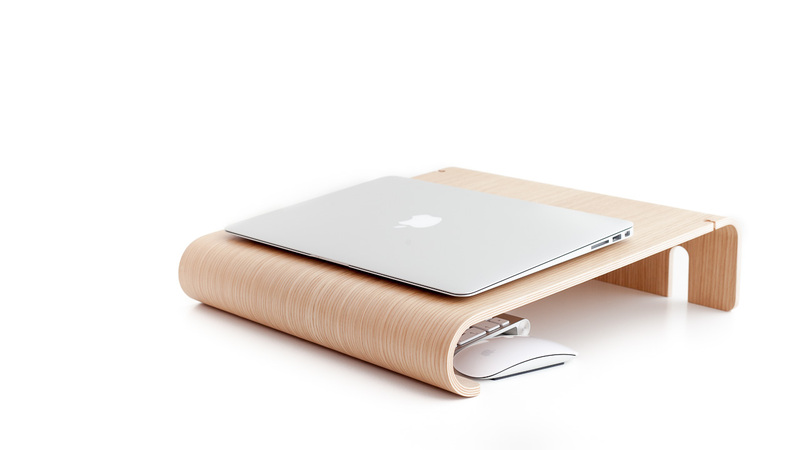 The stand is meant to be a light workspace for your laptop or MacBook in you home or office. In one scenario you could have it mounted on the wall in the kitchen to do e-mails or find recipes and you could bring it on the dinning table to work in the evening. When used at a MacBook stand you can neatly organise you keyboard, mouse and notebook underneath when finished working. In another scenario you could have it in the office for a place to leave collaborators to work for a few hours before or after meetings. If you like great solutions you will like the design, sustainability and comfort you get with the wall desk. The stand is designed and made with danish craftsmanship just like the old classics. It is meant to look nice and be a piece of it own when hanging on the wall. 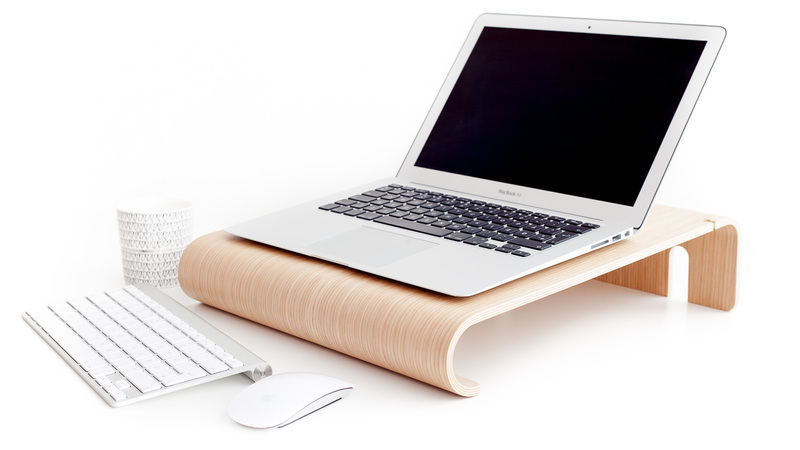 We believe that ergonomic support dont need to be ugly or overly complicated.